It will be a memorial all right, but it isn’t a design—there is no design in it. Estate agents will tell you that three things make a property great: location, location, and location. There’s no denying that the WA State War Memorial has all three. What it lacks, though, is any sense of scale, dignity, or architectural style. Transplant it from its sublime location to your local park and the SWM would look like the council put it up on the cheap. And cheap is exactly what it was. Victoria’s Shrine of Remembrance? £80,000. 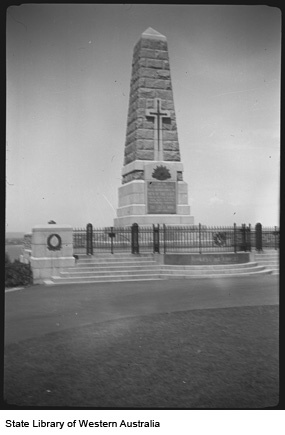 South Australia went for a less costly memorial at only £25,000. And WA? We managed to shell out a whole £3,000. And look what we ended up with. How was it that the brave men who fought, and often died, for their young nation ended up being commemorated with a Red Dot bargain-basement memorial? Let Dodgy Perth take you through another tour of Western Australian history. 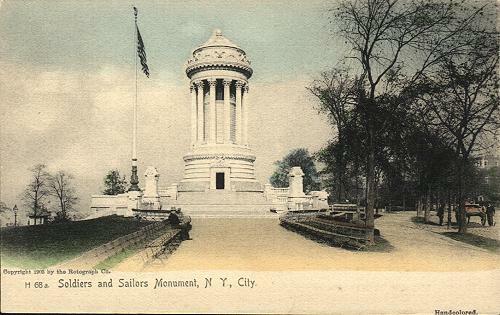 The idea for a State War Memorial started in 1921, but quickly went nowhere. Revived in 1923, the project was supported by the Premier, Sir James Mitchell, who hoped it would be erected on a high elevation so it could be seen from all parts of Perth. But, when I say supported, don’t imagine that the Premier was offering cash. Oh no. He expected that the cost would be covered by public donation and that each local authority would chip in. Well, the local authorities told him to bugger off. They weren’t going to pay for a memorial which was, to be honest, only going to serve the City of Perth. They’d have their own memorials, thank you very much. And the City of Perth. Er… no. Not one penny was forthcoming from them. They loved the idea. Just not the idea of spending anything towards it. And the public responded. With fifteen pounds. Yes, you read that correctly. When the appeal closed (as did the Memorial Committee shortly afterwards), they had raised a whole £15. In 1925, they tried again. This time the debate was all about whether or not returned soldiers wouldn’t be better served with a new hospital, which was sorely needed. Memorials, they said, were so 19th century. Nowadays we need functional, utilitarian monuments. Like hospital wards. The RSL managed to fight off that battle, but still didn’t win the war. This time the target was £35,000. By the time the appeal closed (local authorities and the State Government were still not interested), less than a tenth of that amount had been raised. But still, if that was all they had, then that would have to do. The ‘honorary architect’ (read: offered to do it for free) was Sir Talbot Hobbs. Vastly overrated, even in his day, as an architect, he had served with distinction during the Great War, so he wasn’t the least obvious choice. Hobbs had also designed a few monuments in France and Belgium, so he simply recycled one of these—for no fee, he wasn’t going to put a lot of effort in, was he?—and just discarded all ideas of context or relevance. Even with a free architect, and a greatly scaled-down project, they still managed to run over budget. So when the monument was erected, it didn’t get its proposed setting or lighting for a few years after. They had to scrape together another £300 to put the steps in so it didn’t look completely ridiculous. Just to remind you: Melbourne spent £80,000 on their memorial. Well, it will be a memorial all right, but it isn’t a design—there is no design in it. A memorial of brave men and valiant sons certainly. But people a hundred years hence will wonder what it symbolises, what it commemorates, why it was perpetrated. As a person of a hundred years hence, I couldn’t agree more.